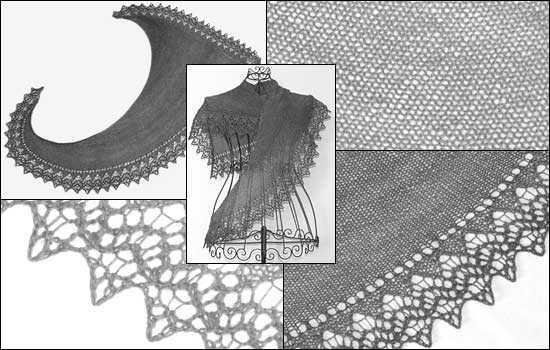 The shawl *LazyKaty* has a curved, asymmetrical shape with one narrow and one wide edge. the edging is worked across all stitches and the wide edge. The pattern is charted and written.